The Saint John the Baptist Pro-Life Committee strives to implement the United States Catholic Conference of Bishops Pastoral Plan for Pro-Life Activities at the parish level. We work to protect the life of the unborn and the elderly, support those who have lost children, and help women who are choosing life for their babies. We also have on our committee an advocate for persons with disabilities. The Committee is under the auspices of the Diocesan Pro-Life Office of Buffalo. Join Us! Joining the Pro-Life Committee is a great way to become active in your parish. Meetings are held bi-monthly. 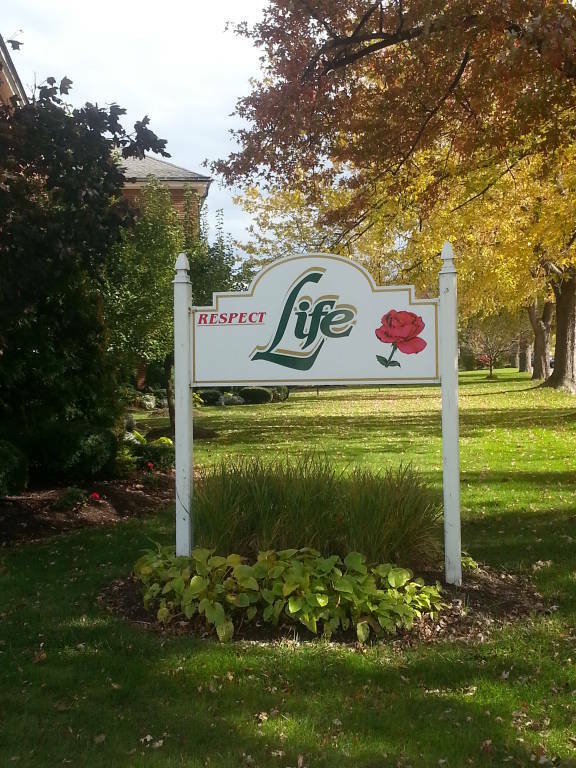 If you are interested in joining, or for more information on the Respect Life program, contact the rectory 716-873-1122. Email: Pro-Life office@buffalodiocese.org (Denis Coakley, director; Miriam Escalante, secretary); phone (716) 847-2205. For over 25 years, women and men have been coming to Project Rachel, the post-abortion ministry of the Catholic Church, for help in healing their emotional and spiritual wounds. The priests and counselors in the Project Rachel network understand the pain and loss that follow abortion. They have led thousands of grieving women and men from despair to hope and peace. Project Rachel has trained priests and professional counselors who can help you to heal spiritually and emotionally, no matter what faith tradition is yours. For more information, contact the Diocese of Buffalo pro-life office, Phone (716) 847-2205. Or visit Hope after Abortion. NYS Catholic Conference: The Official Public Policy Voice of the Catholic Church in the Empire State. Join with thousands of others to work for justice in society and promote the values important to our faith. Through the Catholic Advocacy Network, you can stay informed about important issues and strengthen the Catholic voice. Support the Gianna Molla Pregnancy Center The St. Gianna Molla Room Pregnancy Care Information Center of the Office of Pro-Life Activities (1298 Main Street, Buffalo, NY 14209), promotes health through free and easily accessible testing, pregnancy care information, referral services and baby items for women and children living in poverty. For more information, contact the Diocese Pro-Life Office: http://www.buffalodiocese.org/Outreach/ProLife.aspx Phone (716) 847-2205.